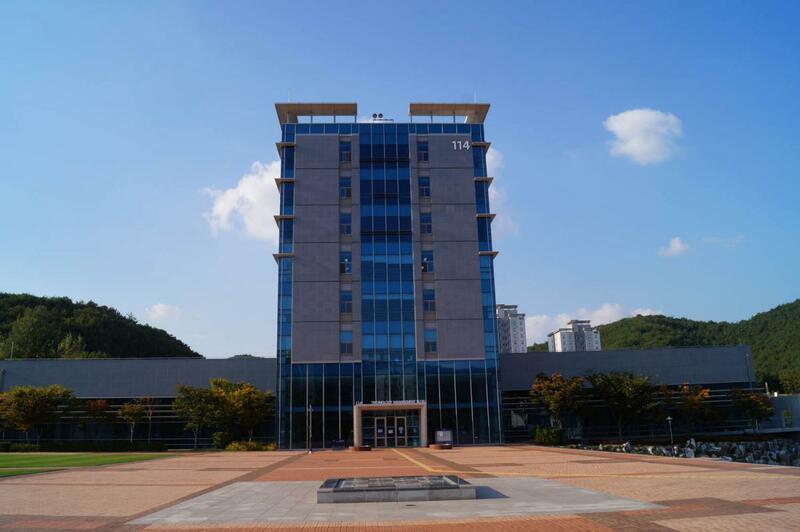 This report is about the time we spent at the Ulsan National Institute of Science and Technology (UNIST), located near Ulsan, South Korea. 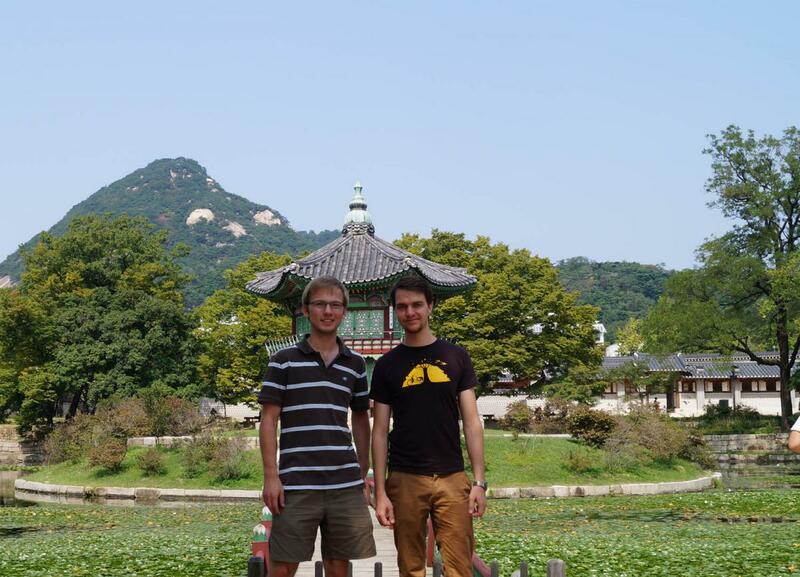 We study Information Systems at the University of Münster and were at UNIST from August 2013 to February 2014 as exchange students. 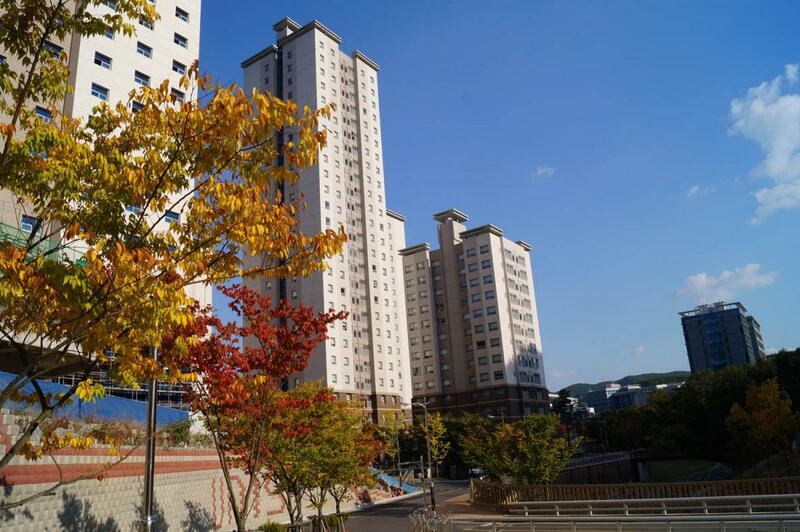 UNIST is located near the City of Ulsan, which has a population of about one million people. Ulsan is famous for its giant car plants, shipyards and oil industry. One’s first impression of the UNIST campus is: Everything is really new. The university was built around 2007 and the campus continues to grow, with the construction work still not being finished (2014). UNIST is supposed to be the first university in Korea with only English courses and has the goal to be one of the Top 10 universities in 2030. However, because there are students only for a few years now, the academic system and the bureaucracy has not completely settled. The condition of the lecture halls and the library are excellent. Everything is new and the facilities can satisfy all demands. For example, in the library you have access to a lot of journals and articles, there are group study rooms and even TVs, where you can borrow DVDs or just watch TV to relax. The majority of the students are Korean. There are about 3,000 students and about 120 international students. Most international students come from Mongolia, Vietnam, Kazakhstan or Kyrgyzstan. Students from other countries are really rare. Although the courses are supposed be in English, Korean is used as the main language during the extracurricular activities, such as student clubs or events. But Korean students are very kind and always try to help international students so that most of the time, there will not be big problems. As mentioned before, the official language for courses is English and it’s the only official language. But in practice there are difficulties with the English level of students or professors. Some professors tend to allow questions in Korean or use Korean in there lectures partly. The lectures are quite different from lectures we knew in Germany. There are less people (about 25-50) and it was similar to school. Attendance was mandatory, homework was given and a lot of group presentations, case studies and quizzes were part of the lectures. The organization of the courses was apparently influenced by the lack of experience. It was not possible to get a complete list of offered courses three weeks before the semester started. But the staff of the university, especially of the UNIST International Center (UIC) always helped and tried to solve all the problems. In conclusion we would say that studying aboard in Korea was a great time. There are cultural differences like the behavior in groups, on the street and of course the food. But people all over Korea are very kind and interested in foreigners. They always try to help you and to learn about your culture. We would recommend every student to study abroad to meet new people, learn about other countries and make experiences in a foreign culture. Furthermore we would recommend also to study in Korea to get to know about a different learning style and different ways of teaching.